There are rare conditions that children are born with and many of the children live a fairly normal life after being born. This is not one of these cases. Cyclopia is one of the rarest forms of birth defect and children born with this condition often pass away within the first few moments after birth. Cyclopia is a birth defect where the baby is born with one eye or two eyes on the forehead of the baby. The one eye is a result of the orbital sockets not forming correctly in the womb. Cyclopia (also cyclocephaly or synophthalmia) is a rare form of holoprosencephaly and is a congenital disorder (birth defect) characterized by the failure of the embryonic prosencephalon to properly divide the orbits of the eye into two cavities. Its incidence is 1 in 16,000 in born animals and 1 in 200 in miscarried fetuses. 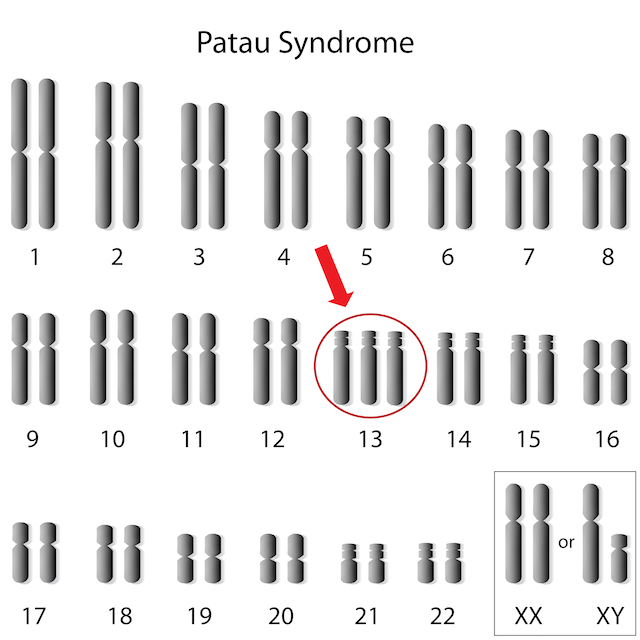 Some cases of cyclopia have been associated with a rare chromosomal condition called "Patau Syndrome" which is associated with a person having three instead of the usual two #13 chromosomes (Trisomy 13). Cyclopia is most noted in feline babies where the kittens die within the first few moments of life due to the fact that the mouth and nose are often affected and are either missing or nonfunctional. In these cases, the infant cat suffocates once they leave the womb. The same effect is seen in the few cases of Cyclopia in human infants. The children are born with a functioning nose and once they are born, the babies do not have the ability to breathe outside of the womb and thus die quickly. While human cases are rare, there are preserved remains of infants in an Amsterdam museum who were born with Cyclopia. There are several known causes of Cyclopia in the human population. Each of the causes is related to high amounts of toxins in the body during the formation of the fetus. The first cause is thought to be the ingestion of a toxic weed known as Corn Lily or Vetch Weed. This weed is often confused with hellebore. Hellebore is an herb used to treat vomiting and cramps, two common symptoms of pregnancy. Another cause of Cyclopia is directly related to alcoholism and diabetes. In alcoholic and diabetic mothers, the toxins can build up in the body quickly. When these toxins are present during the formation of a fetus, the brain develops as one hemisphere instead of two. With this improper brain development occurs, the orbital sockets are often developed as one socket instead of two, thus the occurrence of Cyclopia. Mothers who suffer from alcoholism or diabetes have a chance of developing a fetus with Cyclopia 200 times greater than mothers who do not suffer from these conditions. In 2006, a baby was born with Cyclopia to a mother in India. While most of the infants born with this condition die within moments of birth, this baby lived beyond the 11th day. Some believed the infant was the physical manifestation of a God and worshipped both the infant and the parents. This case was thought to be linked to the use of an anti-cancer drug while the mother was pregnant. But the hospital and doctors were unsure of the final root cause and also noted a chromosomal disorder as being a possible cause for the Cyclopia in this case.